Home » Professor Stephen Heppell Celebrates Half a Decade of National Provision in Wales. Our six year contract with the Welsh government has now reached its conclusion; following the three year extension after an independent review confirming its “value for money”. Time to look back, and forwards! Our conversations with the government began in 2012 and rightly there was a complex and competitive procurement route to follow from there. Nevertheless, everyone wanted to get started as quickly as possible; a year would seem a very long wait for a five year old! Hwb+ began quickly, and grew even quicker. We launched the project with Leighton Andrews, the then Education Minister in 3 months, Andrews referred to the project as a “world-class system for those aged 3 to 19” (Source: BBC, 2012). At Learning Possibilities we are proud of the scale and impact of our work in Wales with 540,0000 active accounts and 87% of schools logging in in 2017 (Read More) and being referred to by Microsoft as “one of the largest deployments of its type” (Larry Nelson, Worldwide Managing Director). The last decade has seen so many new technology developments: satnav on your phone, Snapchat, Instagram, üBer, 4G networking, properly smart watches, the Hadron Collider, Siri with Alexa and friends, and so much more. Our project began on a very fast moving conveyor belt of global innovation and we felt that all our design work had to be “future aware”. Even our six years with the Welsh government have proved to be a long time in technology-years. As the contract’s years passed, we added everything from Skype conferencing to big data analytics, but also pragmatic things like off-line working and many more terabytes of storage. Not everything needed to evolve; our initial certainty about the importance of user privacy might have seemed a bit obsessive at the outset, but has proved to be prescient as recent scandals about data privacy have shown. 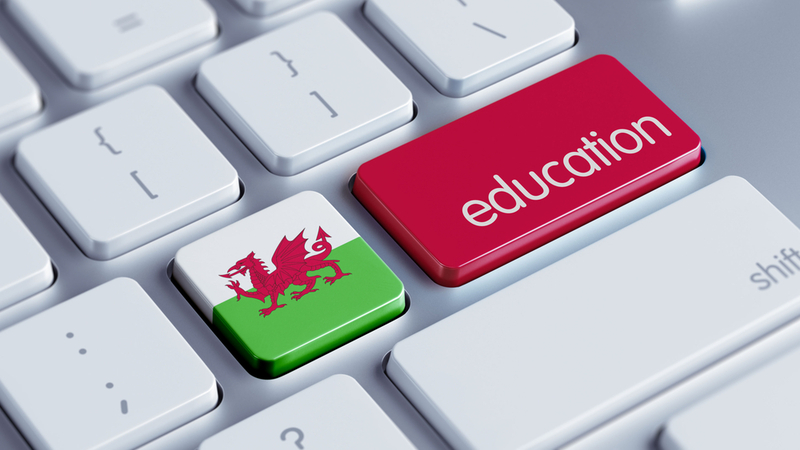 Welsh students’ data safely housed in the UK now looks very clearly the right call. What evolved in this case was others’ understanding of online danger. Perhaps most interestingly, where Hwb+ had begun perhaps as a shared learning platform, it became the cement in a community of learners and one with a designed future-proofing, because we knew, and know, the emerging and changing needs of learners. One key lesson from Finland’s much lauded education system is of the importance of collaboration and exchange between schools going forwards. As the OECD put it: “Children entering school in 2018… Will need to be responsible and empowered, placing collaboration above division, and sustainability above short-term gain” (Read more here). That OECD vision of collegiality and collaboration needs more than a tool to support blogs, chats, homework and content. It needs accessible and visual data that allows the individual to model and compare their efforts, and for teams to see who has done what, for whom. The Welsh government were prescient back in 2012 to commission the very tool that would allow their users to build national collaboration. What started as a platform finished looking very much like a conduit for community. And now, as we move forward it is perhaps no surprise to the see the level of interest from other nations as they too seek to make their learning better and to build the sense of togetherness that is looking more and more important as a slightly unstable world moves forward. We were hugely proud of what we did in wales, but even more excited to see what we can do for other nations as they realise the power of collaborative spaces for learners and professionals alike, on-line and face to face. One important dimension in that collaboration is the role of language and of course our Welsh project was properly bi-lingual with Welsh and English to the fore. Technology is only just starting to hint at its ability to allow collaboration across cultures, but surely nothing is more important socially? Technology might eventually bring us something akin to Douglas Adam’s Babelfish, but without evolving the habit of equitable cross cultural collaboration, such wonderful technologies will be wasted.